Sometimes I make stuff and think its OK. Then sometimes I make stuff and I like it. And every once in a while I make stuff and I love it! Well, I made this quilt and I am 120% in love with it. Like, I think it’s one of my favorite things I have ever made. At least top 5. 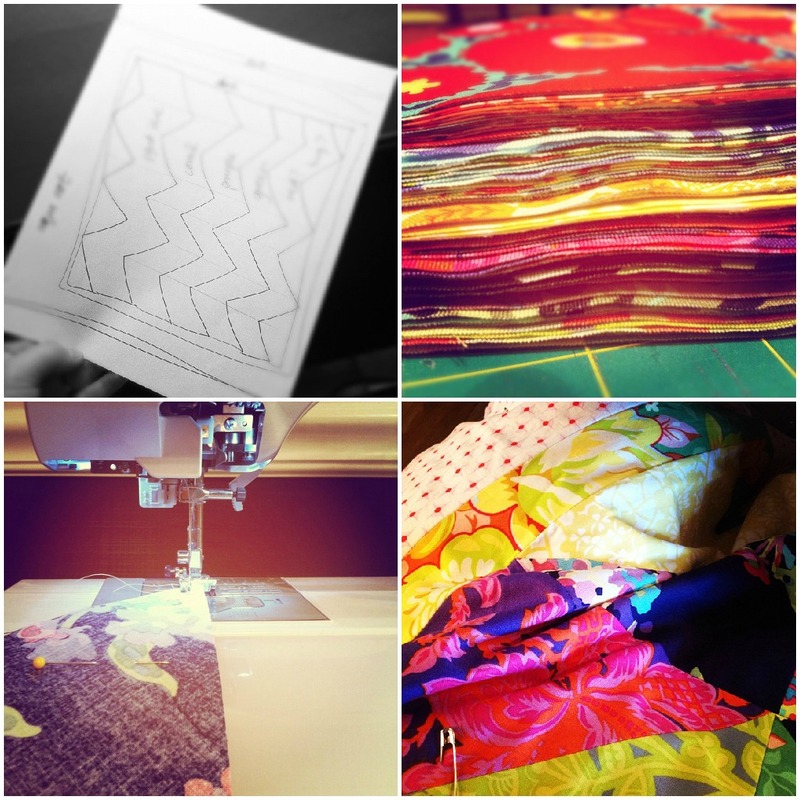 Back in June, Ashley from Mommy by Day Crafter by Night, hosted a quilt-a-long. I had good intentions to stick with the time frame. But being my usual crafting slacker self, I didn’t. I learned a long time ago that when I craft on a time frame, it isn’t good. So, I let it go and teased with these instagrams over the past few months. It is so me. Happy Colorful Grandma Chic :) If it wasn’t crazy, and I didn’t live with 3 boys, then my whole house would be bright floral print. 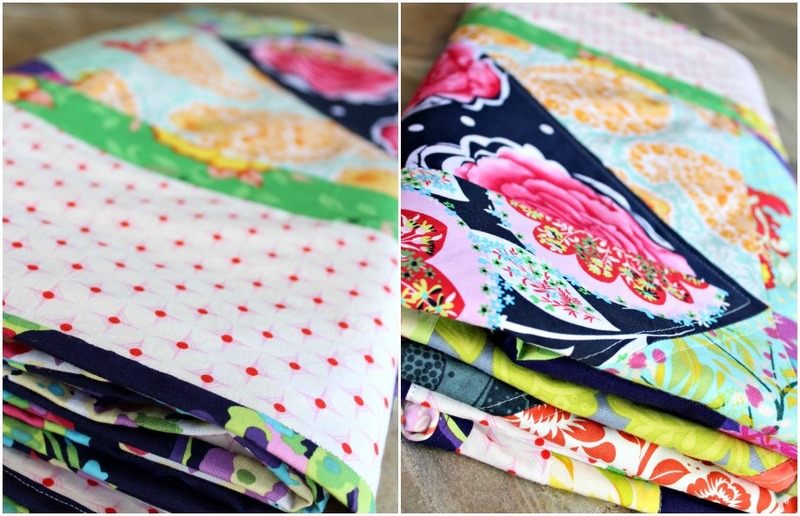 So (with the exception of the polka dot border) every fabric in this quilt is a floral print that I love. I also started this quilt in June so I was HOT. I did a little research and I found out that sometimes in the south, ladies would just use a sheet instead of quilt batting to keep it cool. This quilt is the prefect temperature. It can breathe but even in the winter its just warm enough. I used our very first sheet that we bought when we moved in together. I never had the heart to throw it away. I’m so happy its in there. All of the boys have been caught cuddling up with it and Finn calls it his favorite blanket. I don’t blame them, what’s not to love? Now that I have finally quilted a top, I have plans to finish two tops that I never quilted and I am starting two I Spy quilts for the boys for Christmas. 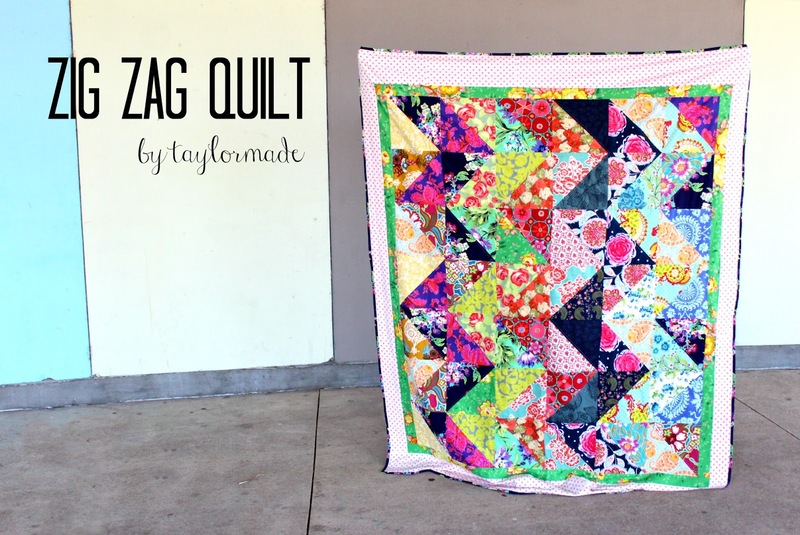 Over-Quilt-Commiter? Are you doing any Christmas quilting? Also if you have a quilt blog or know of a great one leave it in the comments- I’m all about them right now! beautiful. I love the colorful fabrics you chose! I would be honored if you shared this at my Ginger Jamboree Link Party! Amazing!! I love the idea of using a sheet instead of batting! The colors are fun and vibrant. Saw this quilt and couldn’t resist commenting. It is BEAUTIFUL, I love the work you did on this number. It is so colorful, and feminine and I absolutely adore your fabric choices. I too am always on the lookout for good blogs to read, some of my favorites are (sorry if you read all these already! ): In Color Order, Attic 24, Diary of a Quilter, and I think you might appreciate A Girl And A Glue Gun. Anyway again I LOVE this quilt you made, it’s absolutely fantastic!! Do you know what fabric you used? This is a stunning blanket!